I'm sure you're all dying to read yet another list of favorite books! Mine is short and sweet, I promise. Oh, 2014. What a strange year you were. I went through numerous reading slumps. My blog suffered greatly from a lack of time, a lack of attention, and a touch of the lazies. Will I do better in 2015? I certainly hope so! Have you read any of these? What were some of your favorites this year? Let me know! A.J. Fikry is my fave book of the year! I haven't read any of your others but they are all on my list to read! Wasn't it adorable? Have you seen the new paperback cover? It shows the hardcover in the bookstore window, so clever and cute. I'm hoping to get to Hyperbole and a Half during Bout of Books, yay! Oh yes Monika, can't wait to see what you have to say! I'm saving it for July. Mine is the copy of my student who passed away, so I'm going to read it on the one year mark to remember her by. The humor and wit I've seen glancing through it are just like her personality, which is probably why she loved the book so much. It's a fantastic read. It's heartbreaking and funny all at once :D Jennine, it will mean so much to you! Dept. of Speculation forever! I'm so glad it's one that didn't get lost over the course of the year, since it definitely stuck with me. Jennifer, even with slumps, you still probably read more than I did! Lol! I ended up finishing my 105th book on the last day of the year. Not too shabby but still less than half of what I read the year before! Wow - that's amazing to me! Happy New Year! I'm looking forward to reading your reviews and other posts in 2015. I just finished the sequel. It was cute but didn't reach the awesomeness of the first one. Happy New Year to you as well, Melissa! AJ Fikry was my 2014 winner! And - I've seen Dept of Speculation on so many lists...I need to check it out. I have to go check out your list! (I've been SO terrible about blog reading) Dept. of Spec is a tiny little thing too, so it's short AND awesome...gotta love that. 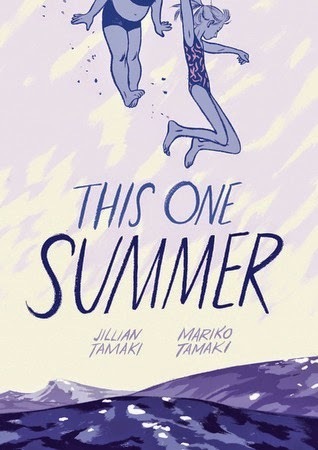 I read two: AJ Fikry, which I thought was okay, but absolutely loved Yes Please. In fact, I now have it on hold for the audiobook (I can't believe I read it and didn't listen to it). Oh my word, I wish I'd listened to the audio of Yes Please too. I've heard great things! Fan frickin' tastic choices! I love so many of these. :D You turned me onto Dept of Speculation, THANK YOU! Hyperbole and a Half is one of my favorite books of the year as well - so very good, and so funny! I haven't read any of these yet. Happy New Year, Jennifer! I hope you're able to get to some of them ;) I know how that goes, so many books and so little time! Same to you, Irene! Yes Please was one of my favorites too! I really have to get to The Storied Life of AJ Fikry! I've heard so many good things about it. 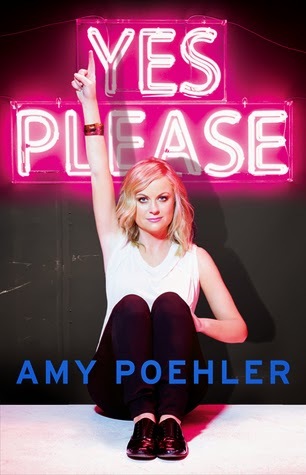 I just got Yes, Please in audio and am really looking forward to it! It's out in paperback now, hint hint! :D I keep hearing such good things about the audio of Yes Please, I hope you love it! The Underground Girls of Kabul is a 'must read in 2015' for me and I'm one of the few who didn't love Dept. of Speculation. Happy New Year! Underground Girls was endlessly fascinating to me :D I'm sorry that Dept. didn't work for you! Happy New Year to you, JoAnn! The only one I’ve read is A.J. Fikry and I completely agree with it being on this best of list! I saw that you just read this one! Right? I could be thinking of someone else, lol. Wasn't it delightful?? I really want to read Dept. of Speculation & The Storied Life of A.J. Fikry. Both sound good. My husband read Hyperbole and a Half and is trying to get me to read it. I really should. It seems to be quite popular. I hope you have a great New Year, Jennifer. 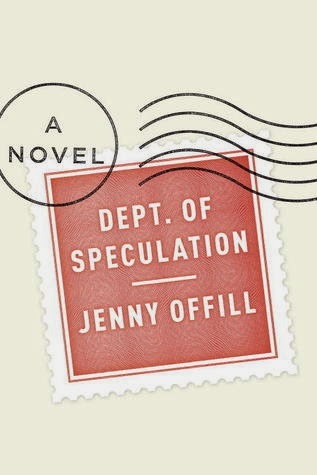 I recommend that you read Dept of Speculation immediately ;) In fact, I'd like to reread it myself! I hope you do too! Hooray for 2015! 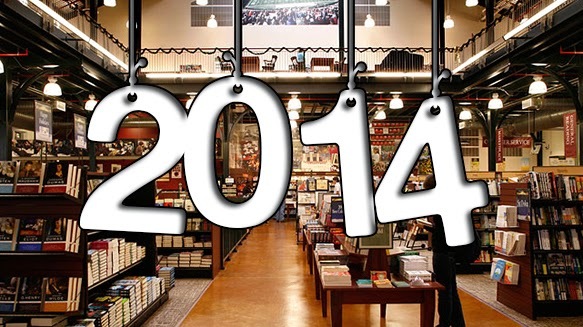 I hope to read a few graphic novels in 2015 and will add your favorites to my library list. Happy New Year! They are so wonderful :D I especially love reading them for readathons when a shorter, colorful, and jazzy book is just what I need. I love the year end fav lists - really helps me narrow down what I "must" read. Because, sadly, there's not enough time to read all of the books! There's never enough time. Sigh! Did you do a list of faves, Lisa? I'll have to take a look! Hyperbole and a Half is hysterical. I think I need a re-read. This is such a great list! Happy 2015! Oh gosh, I would read it again in a heartbeat. SO funny! Same to you, my friend! Oh I must read The Rosie Project!